Want to become a Sponsored Data provider? Sponsored Data is a service that enables companies to sponsor the data usage for specific content on behalf of eligible AT&T wireless customers. With Sponsored Data, customers can browse, stream and enjoy content from our data sponsors without impacting their monthly data plan allowance. 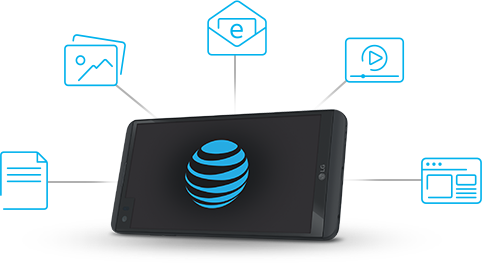 Sponsored Data is available to postpaid customers who have an active AT&T data plan, a 3G or 4G (HSPA+ and LTE) capable device – including smartphones, tablets, laptop modems, and mobile hotspots – and use the AT&T domestic wireless network. AT&T PREPAID customers’ eligibility may be limited to specific offers. What does a Sponsored Data offer look like? A Sponsored Data offer may take many forms. For example, a customer may access an application from their healthcare provider. Within the application, there is a video that displays a message from the provider, indicating that the video is sponsored. Or a customer may access a mobile website that streams audio content, and see a message that indicates the audio streams are sponsored. Where can I find Sponsored Data? Companies that use the Sponsored Data service on their website or in their application will notify you directly regarding sponsored data offers, the offer eligibility, expiration, and any other details. Does Sponsored Data cost me anything? The Sponsored Data service is available at no additional cost to the customer. When accessing sponsored content on websites and applications, data usage will not be applied to your usage allowance if you meet eligibility requirements. I have an AT&T PREPAID account. Can I use Sponsored Data? Yes, Sponsored Data offers are available to customers on AT&T PREPAID accounts. How do I know when I am accessing Sponsored Data content? Companies using the service will notify customers directly. If you are unsure if a company is providing a sponsored offer, you should contact the company for additional clarification through their normal customer service channels. Does Sponsored Data work internationally? Sponsored Data is only available within the United States while on the AT&T domestic wireless network. Does Sponsored Data content usage show up on my bill? Postpaid customers can view their Sponsored Data usage in the "Data Detail" section of their paper bill, and in the detailed usage section within "My Wireless" in their online bill. AT&T PREPAID customers can view their usage in "account history" online. Why was I charged for data usage when I was accessing Sponsored Data content? If you believe that you were charged for accessing content that should have been sponsored, please contact the company that made the sponsored offer through their customer service department. Does Sponsored Data work when I’m in a tethering session or using a mobile hotspot? Yes. Sponsored Data works when a customer is connected domestically to the AT&T network on an eligible device and rate plan, including when on a tethering session via smartphone, tablet, or mobile hotspot. Is Sponsored Data compatible with AT&T Smart Limits? No. Sponsored Data is not compatible with AT&T Smart Limits. Will Sponsored Data work if I’m using a VPN, or if the mobile browser has data optimization turned on? Under certain circumstances, Sponsored Data will operate within a VPN. The application will communicate sponsored content if present. However, you must turn off the “data optimization” feature in your browser to access Sponsored Data. Do all AT&T customers see the same Sponsored Data offers? Not necessarily. The company displaying the Sponsored Data offer determines which customers receive the Sponsored Data offers. *Sponsored Data is available to customers who have an active AT&T data plan, a 3G or 4G (HSPA+ and LTE) capable device – including smartphones, tablets, laptop modems, and mobile hotspots – and use AT&T’s domestic wireless network. AT&T PREPAID customers’ eligibility may be limited to specific offers. Sponsored Data is not compatible with AT&T Smart Limits, in-car systems or with proxies such as those used by certain browser data optimizers. AT&T may not be able to determine if you are using a proxy. Data accessed through a proxy or VPN connection may be deducted from your data plan allowance. Other limitations and restrictions may apply.